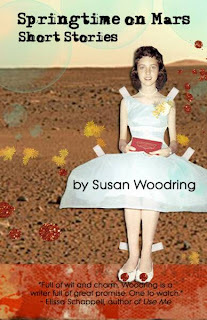 > Susan Woodring, author of the story collection Springtime on Mars (Press 53) will host an online discussion of her story “Birds of Illinois” at 12:30 pm EDT on Tuesday, June 3. Read the story (it’s here) and then return at 12:30 tomorrow to talk about it with the author and other readers. Cool idea. >It is a cool idea. I’m hoping to (virtually) be there.